Isobel Egan graduated in 2005 with a Masters of Arts, Design, Ceramics from the National College of Art and Design, Dublin. She has received numerous awards for her work including the Taylor Art Award from the Royal Dublin Society in 1999, the Golden Fleece Award (merit) in 2006 and the Visual Art Bursary Award, along with a Solo Exhibition, from Kildare County Council and Art Services in 2014. In 2006, Isobel Egan represented Ireland at the European Ceramics Context in Borholm, Denmark. Her work is in a number of permanent collections including the National Museum of Ireland, Dublin and the Taipei County Yingge Ceramics Museum, Taiwan. She is also a member of the International Academy of Ceramics, Design and Crafts Council of Ireland and Ceramics Ireland. 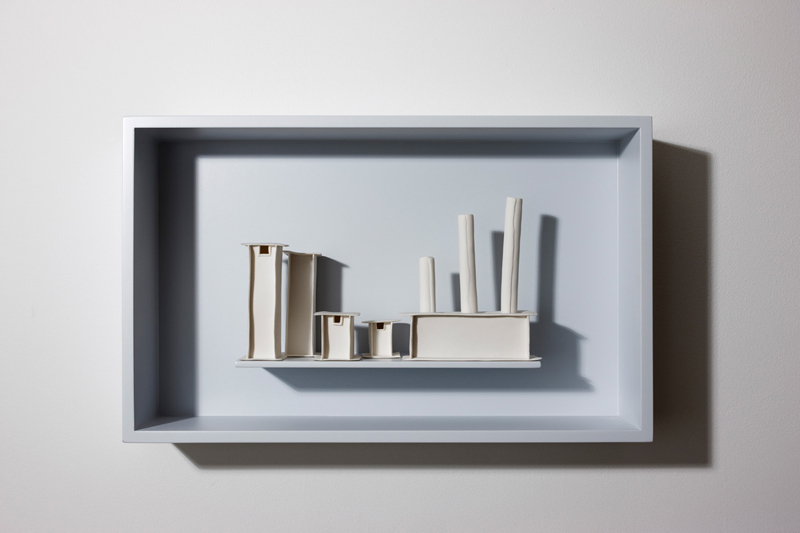 Inspired by architecture and its multi-dimensional portrayal of form, Egan’s inspiration for her work is multifaceted and includes architecture, space, memory and emotion. She works exclusively with porcelain as the intrinsic characteristics of the material, its translucence and delicate paper-like quality enables Egan to fully realise her concepts. 2015 Solo Exhibition, Riverbank Arts Centre, Kildare, Ireland. 2015 Duality of Function, Contemporary Clay, Galway Arts Centre. 2007 Sculpture in Context, Botanic Gardens, Dublin. 1999 The Taylor Art Award, RDS Winners, travelling exhibition, RDS Dublin, Dundalk County Museum, Ulster Museum in Belfast, N. Ireland.